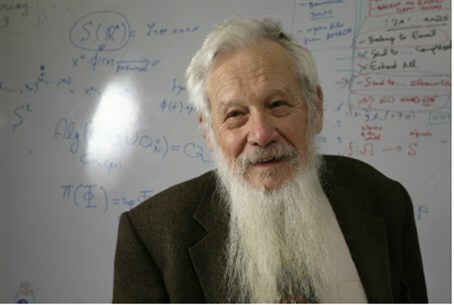 Does Nobel laureate Aumann have answer to Hamas rockets? Automated system would make clear Hamas is to blame. Nobel laureate Professor Yisrael (Robert) Aumann has an idea that could turn the tables on Hamas's rocket terror against Israel. In a recent lecture, he described his vision for a fully automatic system that would fire a rocket back at Gaza immediately, whenever Gaza terrorists fired a missile at Israel. Presumably, these missiles would be randomly or automatically aimed in a way that would inflict civilian casualties on the Arab side, just as Hamas seeks to cause civilian casualties on the Israeli side. Hamas has terrorized Israel with rocket fire for 14 years. The rockets are effective at disrupting and traumatizing the lives of millions, even though they cause relatively few deaths. They have become even less effective since the advent of the Iron Dome anti-missile system, but now reach longer ranges with larger warheads, and are still dangerous enough to terrorize most of Israel's civilian population. Three times in the last 4.5 years, Israel has launched military campaigns against Gaza terrorists, but these always involve the inadvertent killing of a large number civilians, for which other countries are quick to blame Israel, despite proof that Hamas deliberately uses its civilians as human shields. Prof. Aumann, a mathematician, is a professor at the Center for the Study of Rationality in the Hebrew University of Jerusalem in Israel. He received the Nobel prize for economics in 2005 for his work on conflict and cooperation through game-theory analysis.